The ThermoBatch-TGA-Analyzer-80 is ideal for applications where analysis of a large amount of samples is needed, like flour, food, feed, whey, dairy products, coal, coke, cement, iron ore, other ores and other applications. 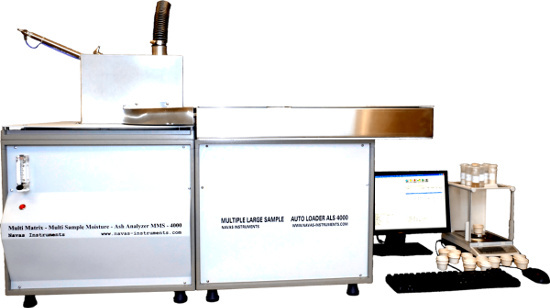 Autoloader with capacity for 80 samples. The ThermoBatch-TGA-Analyzer-80 offers the operator more flexibility. Organizational software allows for different materials; solids, liquids and powders to be loaded simultaneously. The software organizes the individuals into batches and analyzes them accordingly.